An all-new second-generation version of the hatchback has been released, and is currently on sale! 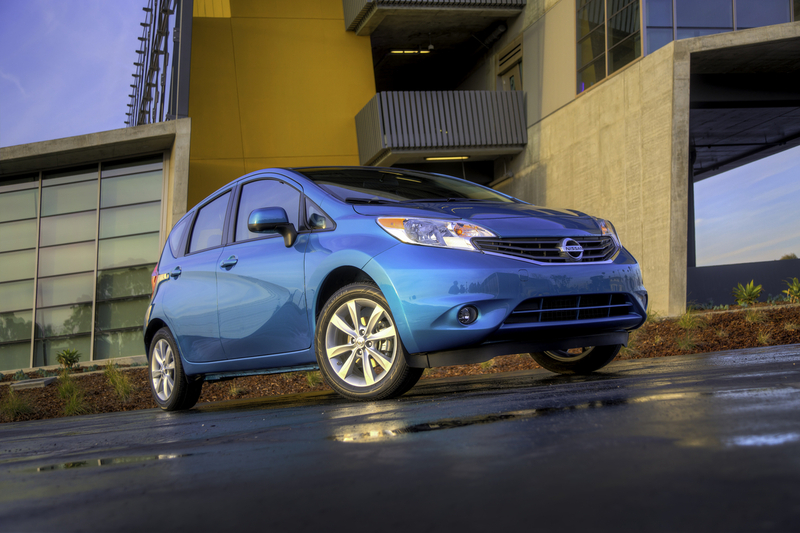 The 2014 Nissan Versa Note, which hit our lots this month, is more than just another update to last year’s model. It is also the dynamic next-generation that has held the entry segment sales leadership for 20 consecutive months, when combines with the Versa Sedan! Drivers can expect advanced technology, new styling both on the exterior and interior, and versatility. The exterior of the Note has a steeply sloped windshield and sculpted body panels. 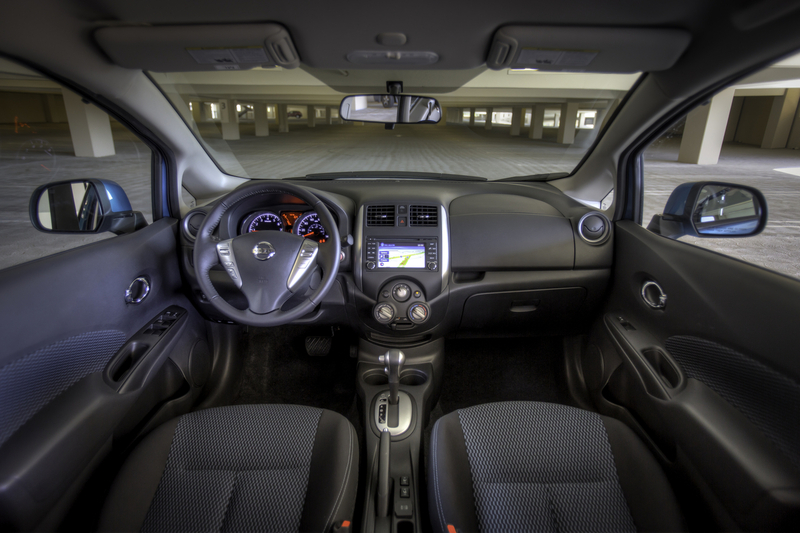 The Versa Note has great new features, such as the class-exclusive Around View Mirror, the Active Grille Shutter for better fuel economy, and adjustable floor panels with Dive-N-Hide. Of course, you can also expect NissanConnect Navigation Systems, Bluetooth, and Pandora. With a 4 cylinder engine and dual fuel injection, the Versa Note promises to ‘get up and go’ when you are seeking that thrill ride. Come check out our new Nissan Versa Note inventory on lot today! There’s nothing worse than having someone ding your car door, or accidentally rubbing up against a light pole or basketball hoop. And then you’ve got this ugly scratch in your car than can ruin just about anyone’s day. 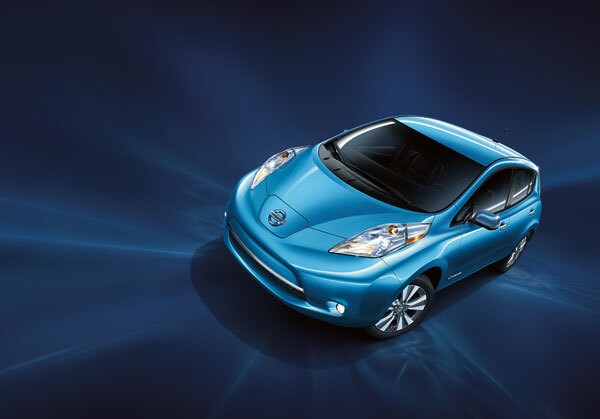 Scenarios like this could soon be a thing of the past with Nissan’s new ‘Self Healing’ paint. That’s right, ‘Self Healing’ as in ‘Scratch Resistant’ paint. As in, your day won’t be ruined anymore. Nissan is the first automaker to release something like this and we’re pretty excited that this might be the coolest car news we’ve heard all year. While not too many details have been released yet, this video demonstrates the iAd released on iPad tablets. When users swipe through news stories, they come across a Nissan vehicle, and will continue to try to swipe, which will ‘scratch’ the car. Right in front of the viewer’s eyes, the scratch will disappear. We hope to see ‘Self Healing’ paint on James Ceranti vehicles soon. Check it out! It wasn’t that long ago that close to home, Nissan Motor Company brought auto manufacturing to Canton, creating new jobs for thousands of residents. Only ten years ago in fact. To celebrate the decade of successful business, the company and its employees celebrated with a huge festival for the community at Veterans Memorial Stadium in Jackson this past weekend. The Grammy-award winning band Kool & the Gang even performed at the festival and the day ended in fireworks. 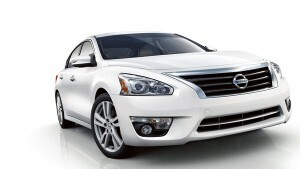 Nissan Canton has produced over 2 million vehicles since 2003, and has an annual payroll of more than $200 million. At James Ceranti, we are proud to live so close to such a great plant. Keep up the great work, Nissan Canton! Late spring and early summer automatically brings everyone out of their houses since most people have been going stir crazy during the winter. With that, you’ll see more people on the streets walking, running and bicycling. Many people enjoy a leisurely stroll after work with their pets and family. Which means it’s your job to keep an eye out for these extra pedestrians! Make sure to drive slowly through neighborhoods and be cautious heading around corners. It’s best to always assume the pedestrian will make an unexpected move and end up right in front of you. With so many people owning smartphones and mp3 players, several of them could have headphones in and not hear or see you, especially if they have their back to you. Remember, stay on the defensive. 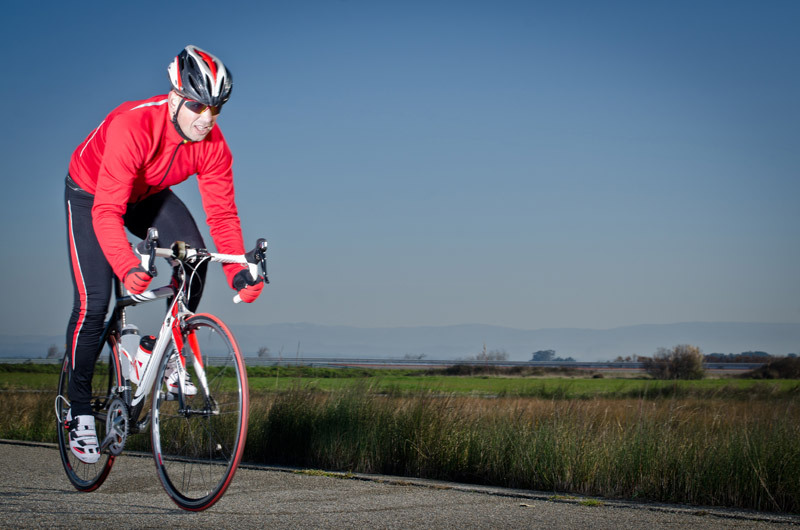 For those of you out for a jog or walk later in the evening, remember to wear reflective gear and always use your bike signals when turning. It’s a great way to teach your kids safety by teaching them these signals early, and by encouraging safe practices such as looking both ways before crossing the street. If you are looking for a place in town to walk to, we would love to have you stop in and walk our lot! Speed can be fun in any language. Combine the thrill of doing something bad, the heightened senses from an adrenaline rush and the overwhelming feeling of freedom and you’ve got yourself one awesome adventure cocktail. Nissan’s German arm recently pitted a GT-R up against an ex-Swiss Air Force fighter jet, called the Hawker Hunter. While the idea of a car vs. plane knockdown, drag-out fight is nothing new, this may be the first time a GT-R has been involved in one. We know you won’t be disappointed by this action, which shows the two high-speed machines racing along the two-kilometer runway. We don’t want to ruin the suspense, so scroll down for the latest match-up of sports car versus fighter jet. Will Human Drivers Become a Thing of the Past, Thanks to Autonomous Cars? With the advances in autonomous (self driving) vehicles, many people can’t help but wonder, “Can a robot really keep me safer than I could keep myself?” Not only are drivers asking themselves this, but lawyers have perked up it as well. 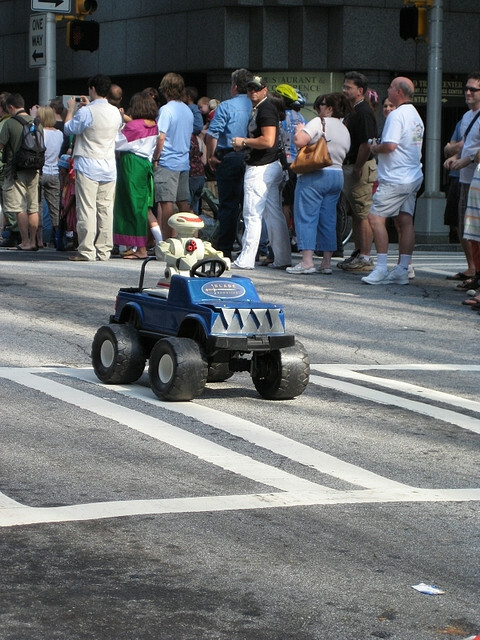 After cigarettes, motorized vehicles are the next most dangerous consumer product on the market. While the soon-to-arrive vehicles are sure to save countless lives because of this, a host of legal opportunities will emerge with regards to product liability, design defects, negligence and foreseeable harm. After all, who wants to be the first person to trust a car to drive them to work, while they sleep in the seat? To limit liabilities, the auto producing companies will need to have laws enacted to curb their legal exposure. And sadly, even if it hinders technology advancements, the systems will need to be locked down so their software cannot be overridden or modified by the user. 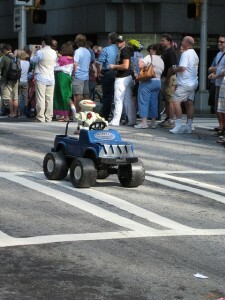 Autonomous cars are expected to hit the market in the next three to five years. Are consumers ready for such a change? Is the law system? Stay tuned for more details! For more info on the latest lineup of new Nissans, visit our inventory site.